New England Patriots: Who’s Next In Line? A Salute To The Hard Hats. | NFL News, as it happens, when it happens. Your one stop shop. New England Patriots: Who’s Next In Line? A Salute To The Hard Hats. Well, as hard as it may be to believe, we’ve reached the halfway point of the regular season…and the Super Bowl Champion New England Patriots are 8-0 and have already run away and hid from their AFC East foes. As far as games go, the always troublesome NY Giants are next in line for a Sunday afternoon joust in mid-November. That’s set in stone. The Giants have spoiled perfect seasons in the past and most of Patriot Nation will never forgive them. This is a new year, with both teams having rotated most of their roster, but the anger is still there. Hell hath no fury like a Patriot fan scorned as Eli Manning and Tom Brady square off once again. When you talk about teams in the NFL, it’s usually a good thing when you don’t mention their offensive line. I mean, come on, talk about boring. The less you hear about them the better, ’cause it means they are playing well, that’s a given. Much is written about the glamour positions – QB, WR, TE, RB, DE…hell even CB’s! But what about those guys down in the trenches? You know, the lunch bucket crew. The hard hats. Without looking it up most fans cannot name 10 offensive linemen from all the other teams in the NFL. My old Patriots Beat partner, Jeff Kane, is the exception, but he’s strange that way! And that group of grunts (I say that with affection) actually like it like that. They are happy just doing their job, heading home for a nice cool one (or two or three) and enjoying their anonymity. Saying that, it’s impossible to talk about the Patriots’ success in 2015 without mentioning the turmoil that continues to occur every game with the biggest surprise of this year (no, not Dion Lewis, but he sure will be missed) – the unbelievable success of the no names in front of Tom Brady. They started the season without some big cogs in the machine that is in charge of protecting the life of the best QB in the history of the NFL, and it got worse week by week. Who’s next up in the revolving door that is the offensive line? David Andrews, Chris Barker, Marcus Cannon, Blaine Clausell, Dan Connelly, Cameron Fleming, Tre Jackson, Josh Kline, Shaq Mason, Nate Solder, Bryan Stork, Sebastian Vollmer & Ryan Wendell. That’s a hearty mixture of 14 (as in fourteen) young and old bodies that should allow Bill Belichick to pick the chosen few for his game day roster each week, right? So, what’s the problem? Well, as the Patriots prepare for the Giants the majority of the names above have fallen aside, either through retirement (Connolly) or injury (Solder, Vollmer, Wendell to name the most obvious) leaving the available list mighty slim. The team went into last Sunday’s game dressing six offensive lineman and by the end of the game the number had dwindled to five! Yes, you read that right. 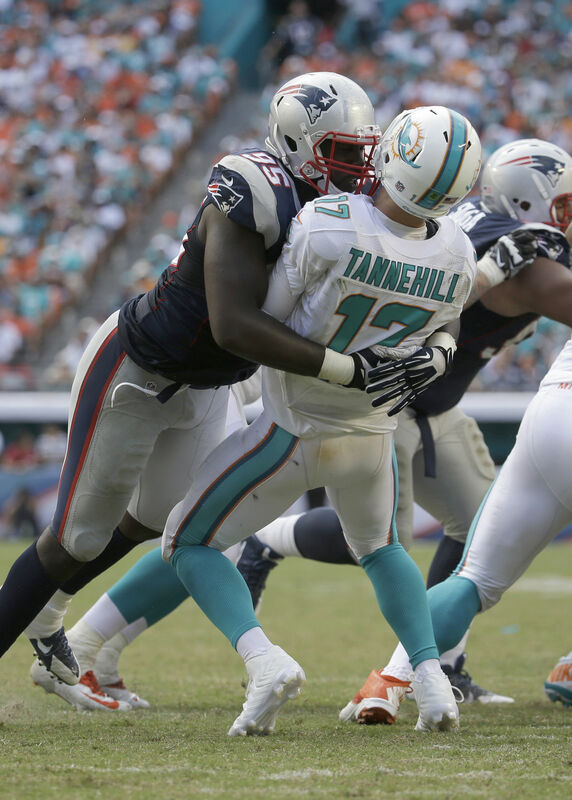 Once Vollmer went out with a head injury, the Patriots had no available back-ups to protect (gulp) Tom Brady. You wonder why they went to the running game early in the second half and now you know. Thank God TEs Rob Gronkowski and Michael Williams are both solid blockers and LeGarrette Blount is a horse or we could be praying for Tom Brady’s recovery right now. Based on all the injuries, rookies and the retirement of Connolly you would expect Brady to be getting pummeled in every game, but it just ain’t so my friends. The fastest gun in the NFL has been sacked 18 times while running 537 plays. Sure, we all cringe as the bodies fly around him each week and, heaven forbid, he throw an interception and foolishly decide it’s his job to bring down the interceptor…because in all honesty, he is the franchise. 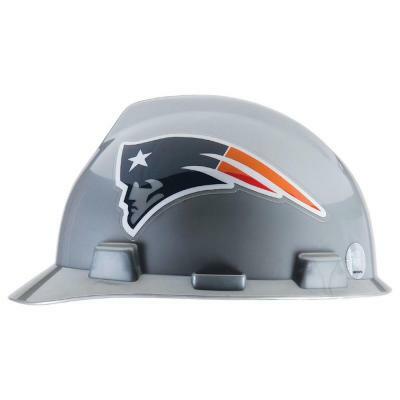 So, it’s time for fans to step up and salute those unheralded hard hats that give up their bodies each week so that Mr. Brady can continue, at the “old” age of 38, with his best season ever in the NFL. The offensive line has done it with smoke and mirrors, along with great coaching by Offensive Line Coach Dave DeGuglielmo in his second season, after the retirement of longtime Patriots coach Dante Scarnecchia. It’s not a pretty job, but someone has to do it (how’s that for original journalism) as the next in line steps up in the quest for another Super Bowl.